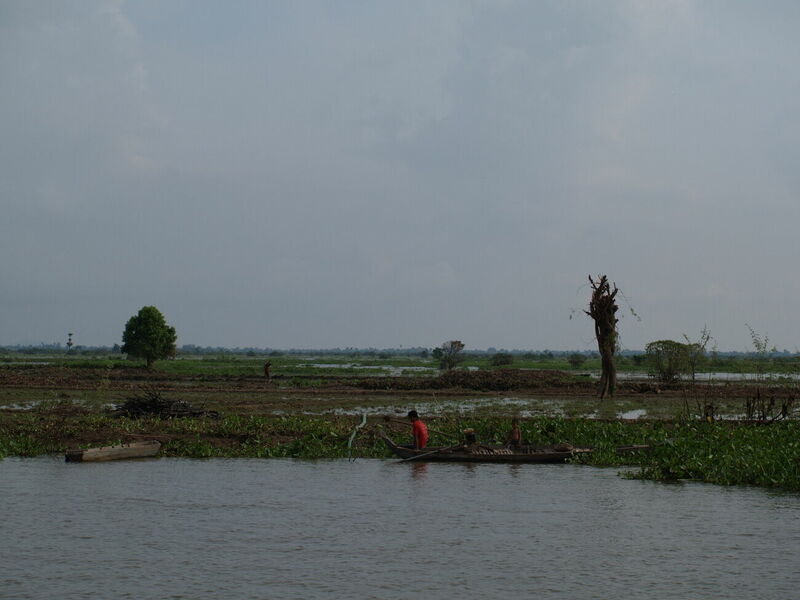 I'd accidentally given our tickets for the Siem Reap boat to the woman running the cruise the previous evening, but fortunately they'd sorted that out and the driver taking us from the hotel to the wharf had them. The boat had an air-conditioned inside cabin, but it was also possible to clamber along the edge — with no rails — and onto the roof. 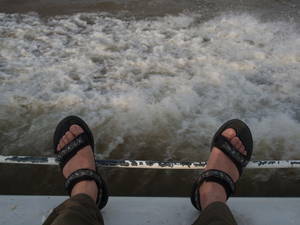 It was overcast, so with the breeze from the boat's movement it wasn't too hot. I spent a bit of time inside reading Rooney to prepare myself for the Angkor temples and the Lonely Planet guide (on the netbook) to try to find a hotel, but mostly I sat on the roof and watched the world go by and took photographs. 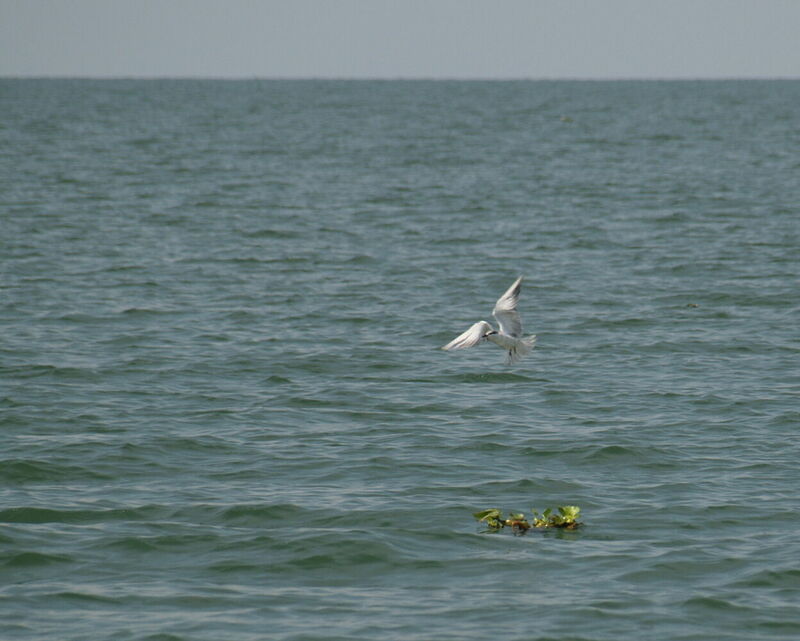 The telephoto lens was needed to reach other boats or the shore. 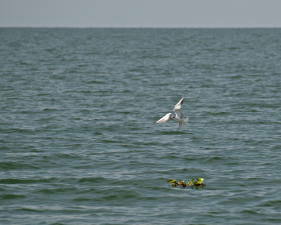 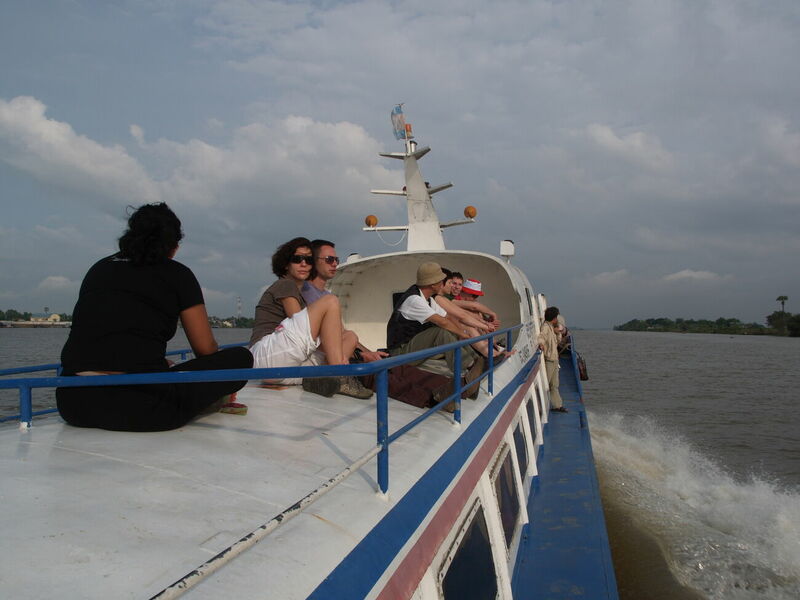 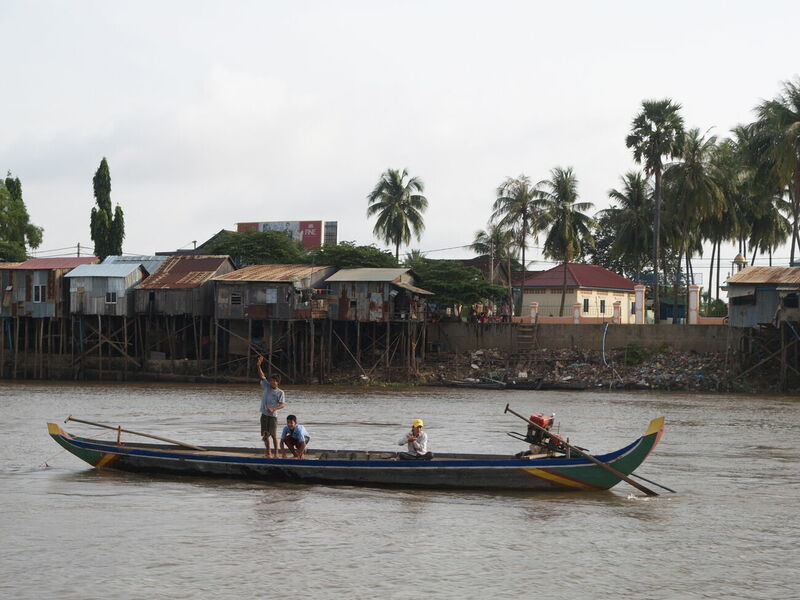 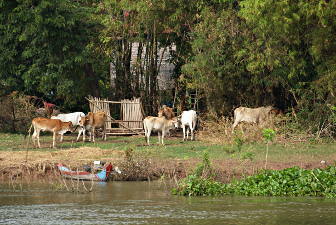 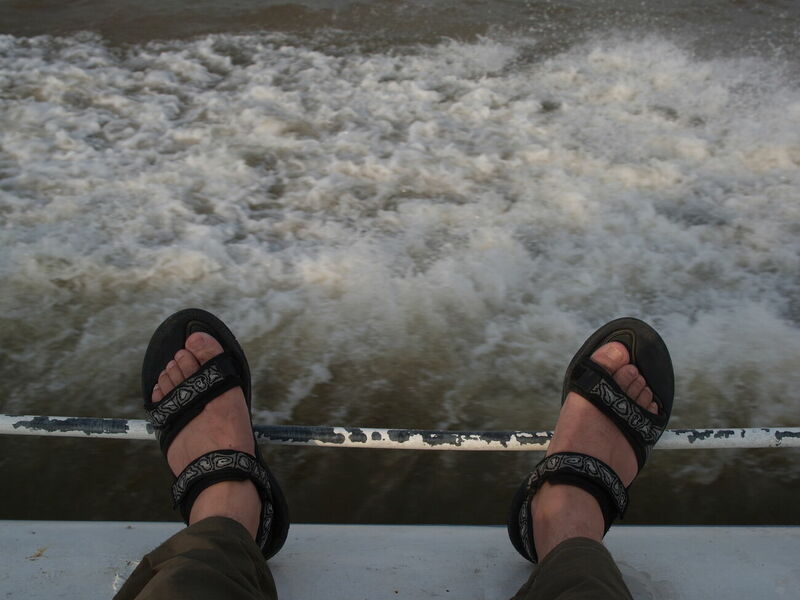 Once we got into the open waters of the Tonle Sap there was often no visible shore on the right hand side. 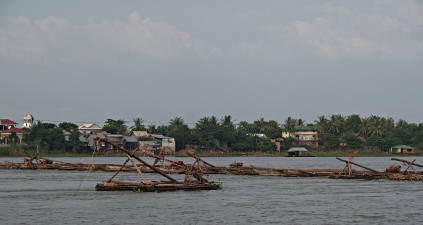 But there were lots of fishing boats, houses and fields along the poorly-defined "banks" (the waters were still retreating), terns landing on floating hyacinth weed, and so forth. 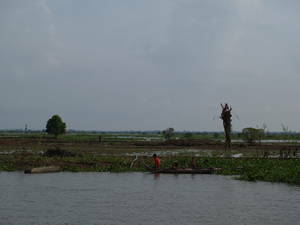 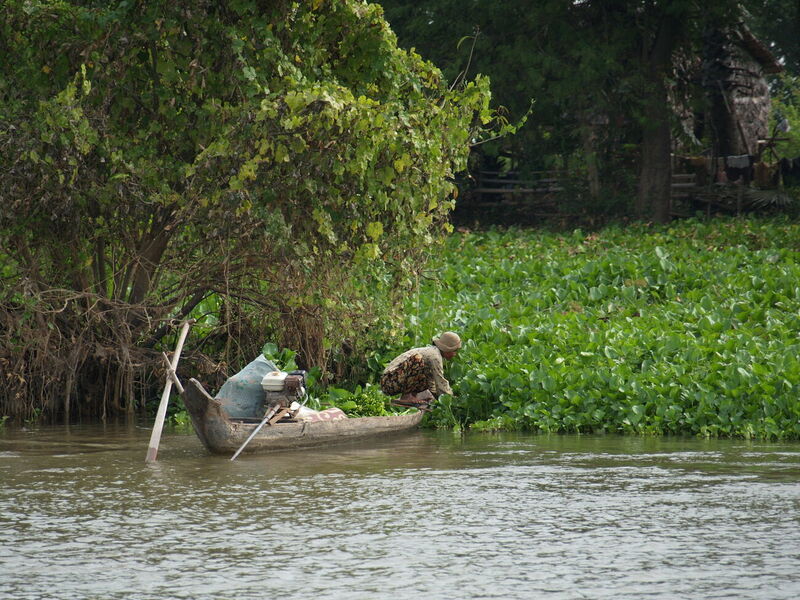 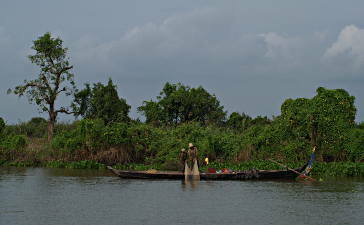 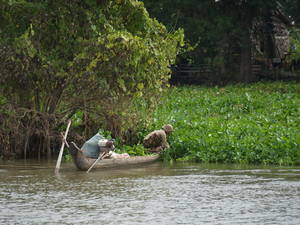 The Tonle Sap is central to Cambodia's economy: fishing is hugely important and most agriculture depends on the flood waters. When we arrived at Chong Kheas (Siem Reap's port) there was a tuk-tuk driver waiting with our names. 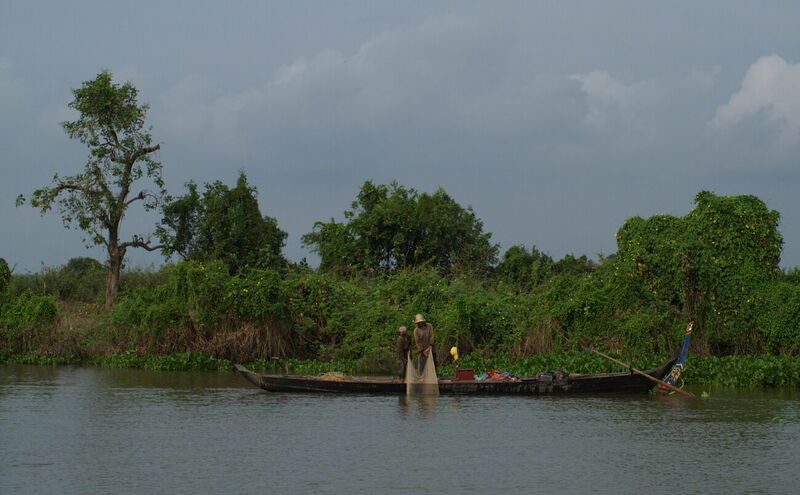 The trip to Siem Reap is included with the boat fare, though I suspect the drivers don't get paid and have to hope for a commission from a hotel.